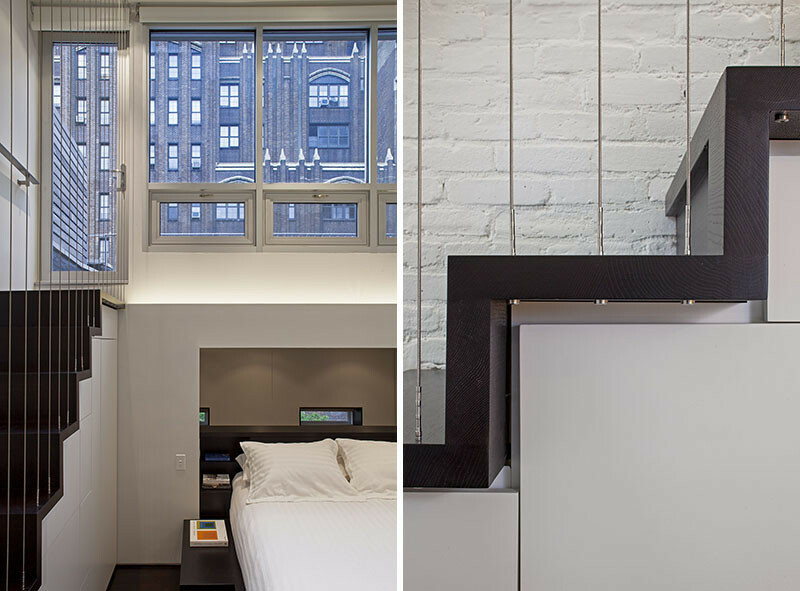 Scott Specht and Louise Harpman designed the renovation of this 425 square foot loft apartment on Manhattan’s Upper West Side. 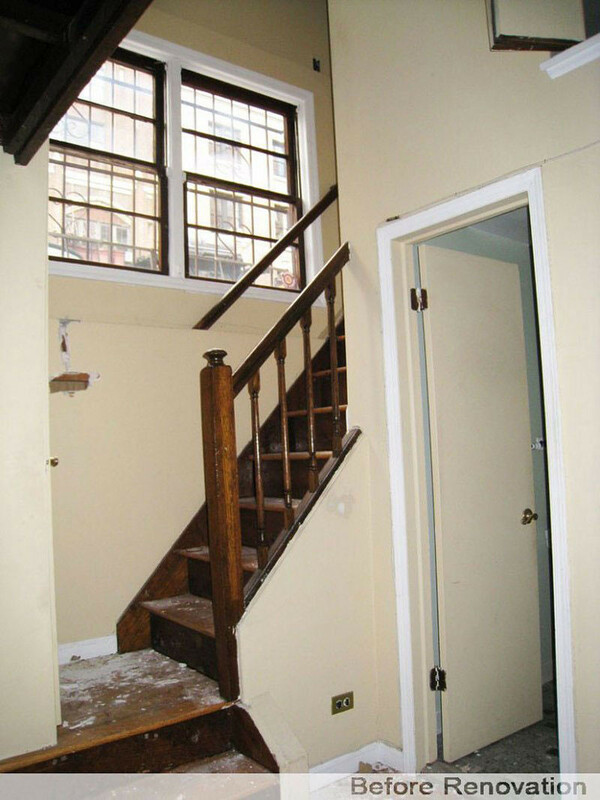 Before we show you the finished loft, let’s all see what it looked like before. 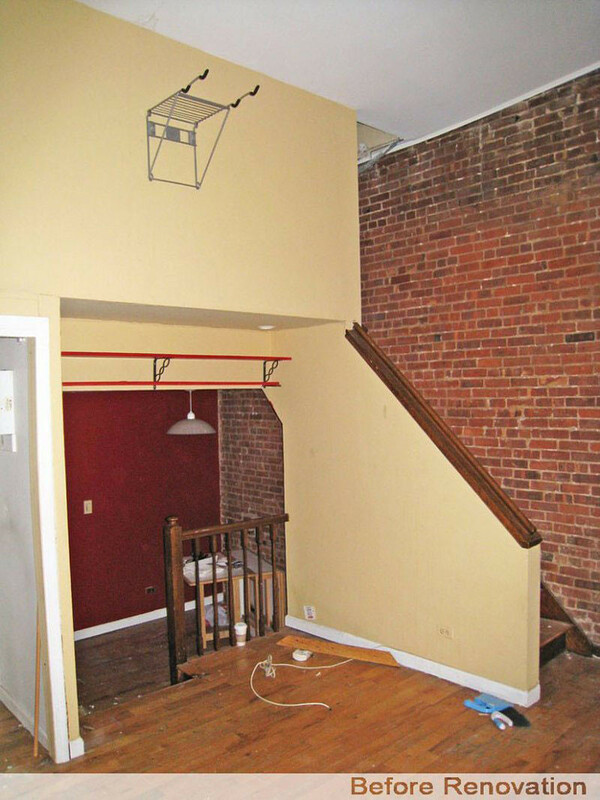 The layout of the loft was really awkward, there were no good places to position a bed or sofa. Not to mention, everything was very dated. In the image below, we can see the new plan. 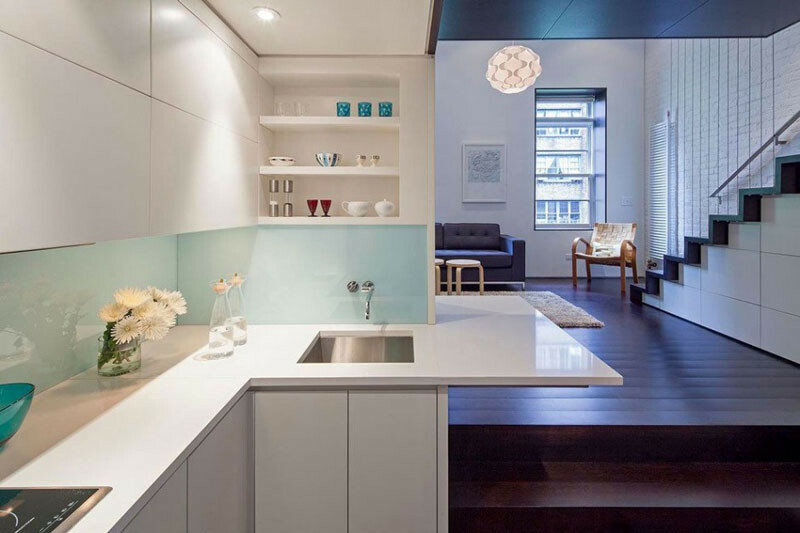 The designers wanted to create four separate living platforms to provide room for all the essentials and still allow the apartment to feel open and light-filled. 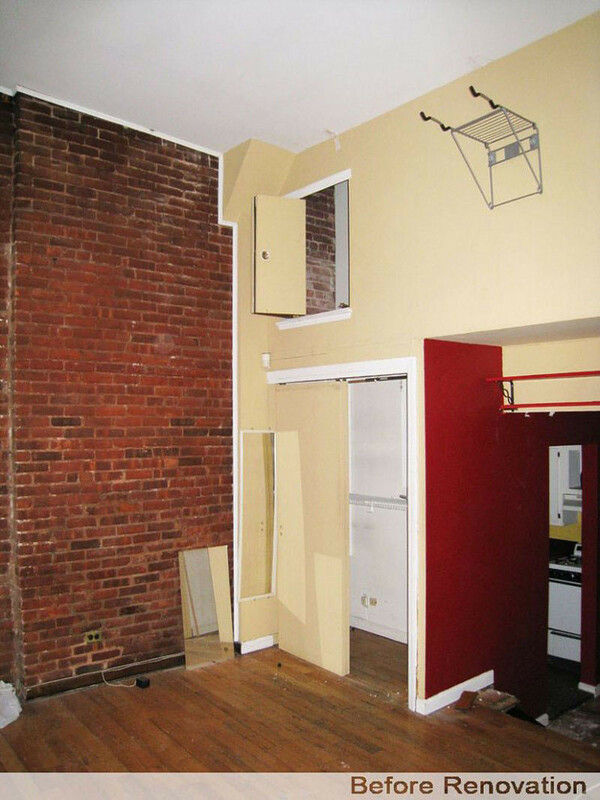 The lowest level is an entry and kitchen space, with a few steps up to the main living area. 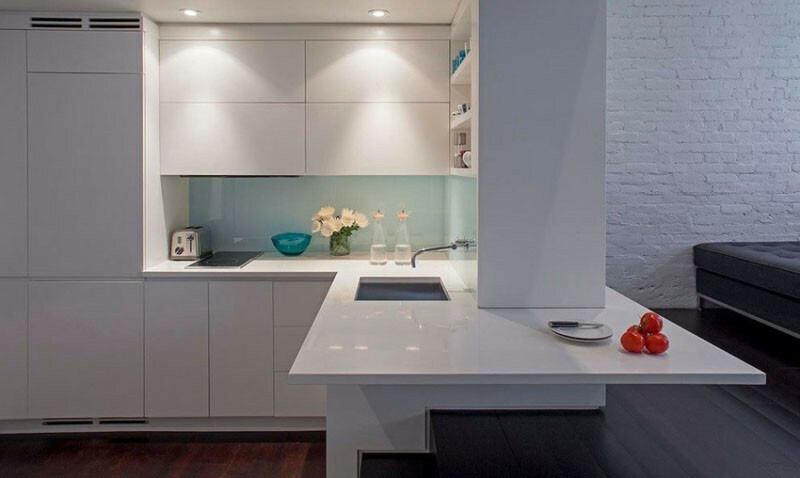 The kitchen features fully concealed appliances and flip-up storage units for easy access. The kitchen countertop wraps around into the main living area, providing extra shelf space under the built-in entertainment unit. All the spaces flow into each other, and the idea of distinct rooms is dissolved. 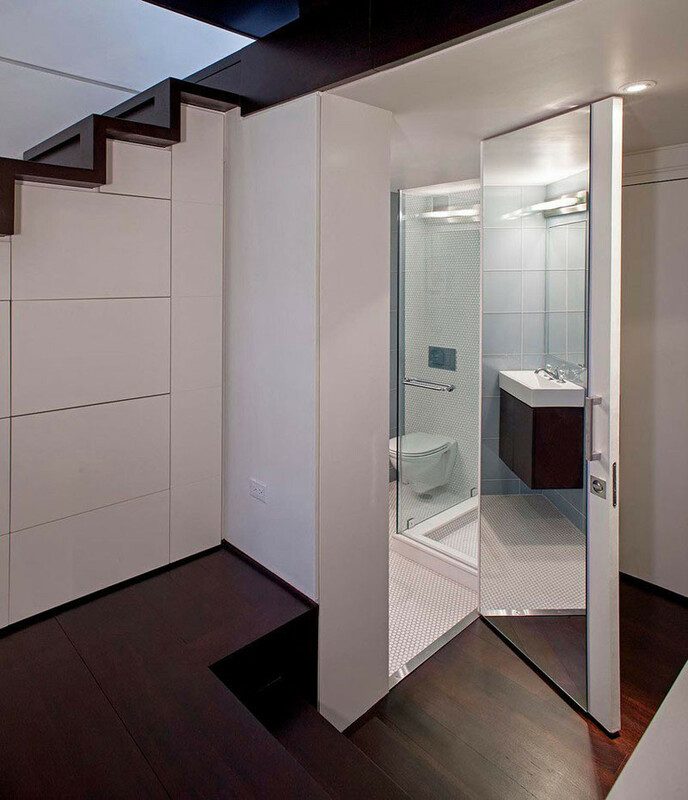 The only door within the space is the one into the bathroom, which has been built below the main staircase. 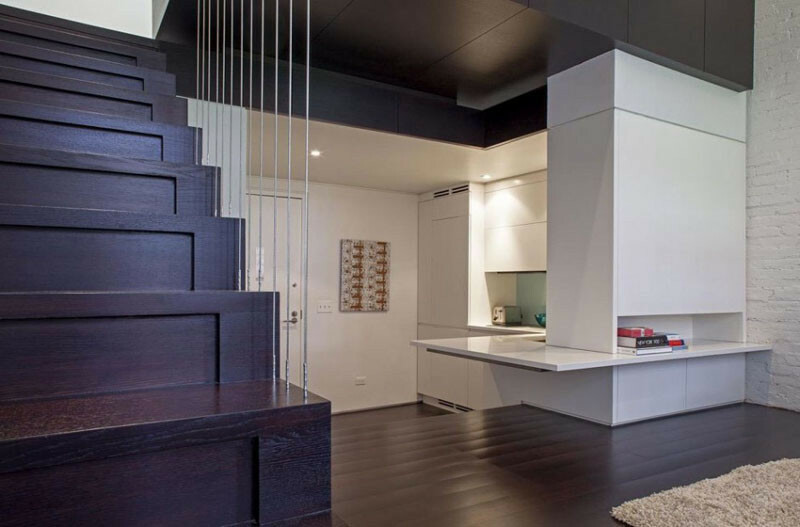 Given the size of the apartment, every inch of space is put to use, like the stairs that do double-duty as storage. 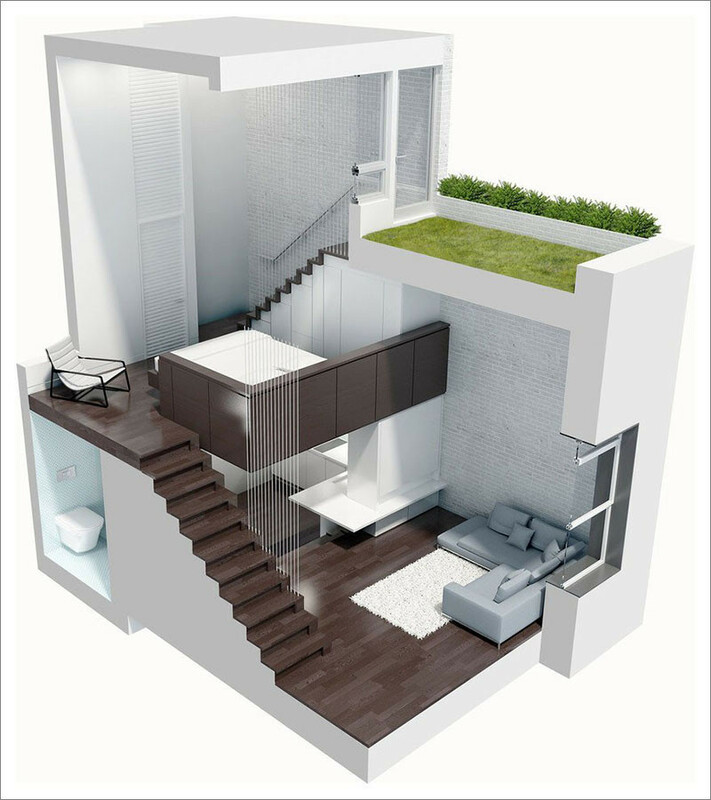 Above the living area is a cantilevered bed pavilion that projects out into the main space, supported on steel beams. 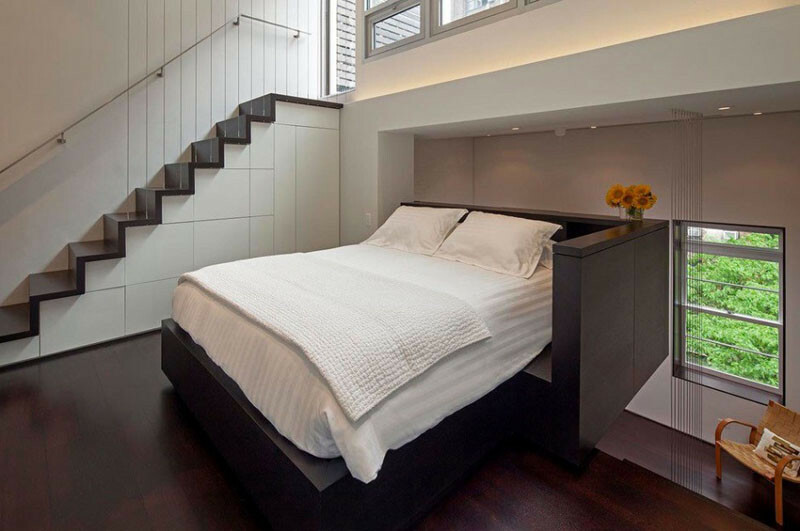 The bedroom is minimal, with just enough from for a bed. 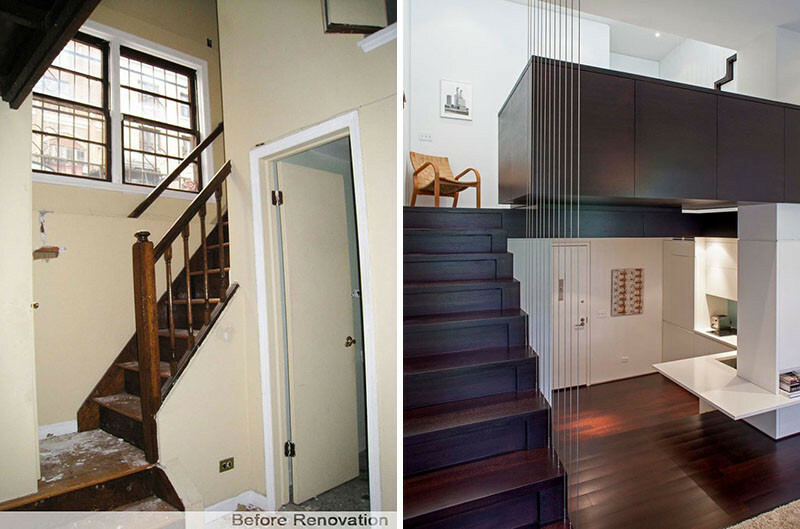 Here you can see how there is more storage built-in under these stairs as well. 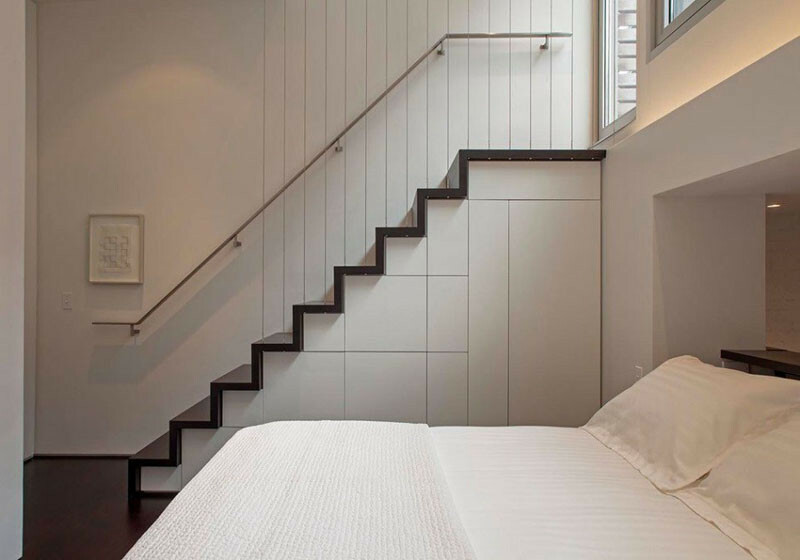 Finally, we see the stairs in the bedroom that lead up to a roof garden.